You are currently browsing the tag archive for the ‘Xeon 5600’ tag. 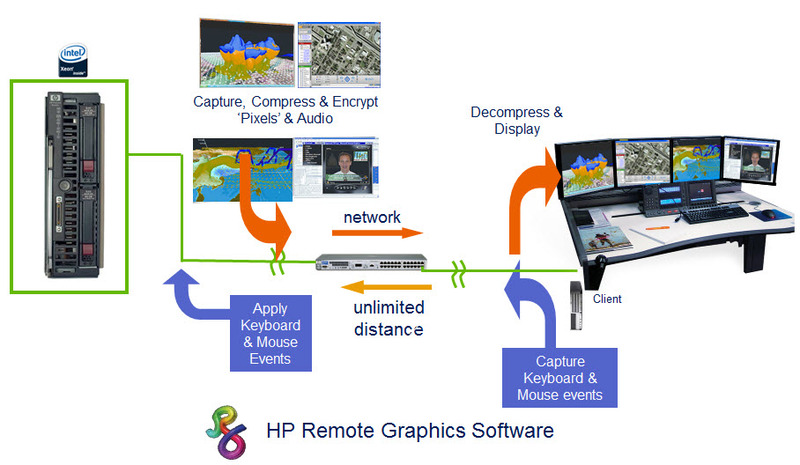 What if you could run a graphics intensive application, like CAD from Chicago, and you were sitting in Atlanta? What if you could work on a multi-million dollar animated movie feature from the luxury of your home? These and more could be possible with the HP WS460c G6 Workstation Blade. The HP WS460c G6 Workstation Blade technically isn’t a new product. Inside, it holds similar features to the BL460 G6 blade server. It’s got the same form, uses the same processors, memory, storage and certain mezzanine cards. In fact, the mezzanine card is where the difference really lies. What’s the difference between a “workstation” and a “server”? Two things: Operation System and Graphics Cards. Traditionally workstations use desktop operating systems, and require very intensive graphics adapters with dedicated graphic processor units (GPUs) and dedicated graphics memory. With this in mind, HP designed the WS460c G6 Workstation Blade to both run a desktop O/S and support graphic adapters designed to handle heavy graphic workloads. HP also designed an expansion unit, called the WS460c G6 Graphics Expansion Blade to enable the WS460c to handle the same full-size graphics adapters as found in workstation desktops. Let’s take a quick look at the WS460c Workstation Blade first. Network Controller: Embedded NC532i Dual Port Flex-10 10GbE Multifunction Server Adapter – note the device driver will only support 1Gbps speed and Flex-10 is not supported at this time. Requires 1Gbps only interconnect switches in enclosure. NVIDIA Quadro FX 5800 (4.0 GB) graphics kit – supported on HP WS460c G6 Graphics Expansion Blade only. NVIDIA Quadro FX 4800 (1.5 GB) graphics kit – supported on HP WS460c G6 Graphics Expansion Blade only. NVIDIA Quadro FX 3800 (1.0 GB) graphics kit – Supported on HP WS460c G6 Graphics Expansion Blade only. 1. Windows Vista® Business Blade PC Edition with 1 RDL (Remote Desktop License) 32-bit with downgrade to Windows® XP Professional 32-bit SP2 custom installed can be ordered—Windows XP Pro SP2 is the only operating system that can currently be ordered factory-installed. 2. Windows® XP Professional x64 Edition— This OS is obtained from Microsoft, often through the customer’s volume licensing agreement. 3. Windows Vista Business Blade PC Edition, 32-bit version— Recovery media for this OS is included with the blade workstation. 4. Windows Vista Business Blade PC Edition, 64-bit version— Recovery media for this OS can be obtained from HP. 5. Red Hat Enterprise Linux® 4.5 (and later), 64-bit— This OS is acquired by the customer from Red Hat, while HP provides the required Linux drivers. 6. Red Hat Enterprise Linux 5.2 (and later), 64-bit— This OS is acquired by the customer from Red Hat, while HP provides the required Linux drivers. 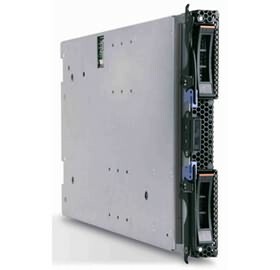 HP ProLiant WS460c G6 and WS460c G6 Graphics Expansion Blade are both half-height server blades that plugs into the HP BladeSystem c3000 and c7000 enclosures. When the Graphics Expansion Blade is used with the WS460c G6 (shown on the right,) the blade takes up two bays, therefore the maximum density per enclosure would be reduced. As a side note, HP does have a 2nd workstation blade, HP ProLiant xw2x220c Blade Workstation which offers two workstation nodes per blade, however it only has a Xeon 5400 processor, so I don’t see it sticking around unless HP does a technology refresh at which time I’ll post an update. So, at this point, you may be thinking – there’s a workstation blade, which sits in the HP BladeSystem c3000 or c7000 enclosure, but how do you use it? This is where the value of HP comes to light. The HP WS460c G6 Workstation Blade is just a small piece of the overall puzzle. There are a few other components needed to make it a “complete workstation solution.” Let’s take a look at what this overall solution looks like. A Client device that can work with the software. While nearly any PC will work, HP recommends the HP gt7725 Thin Client – an HP thin client device with an AMD Turion Dual Core 2.3 GHz processor, 2 GB of memory and 1 GB of flash memory and RGS is factory-installed. At this point, you may be asking, what’s the purpose of running workstations on blades? Why wouldn’t you just buy desktop workstations? Well, there are a few reasons to use a workstation blade environment. Security – if the workstations are on blades, then the data would reside in the datacenter, where it can be protected from the the risk of security exposures from local drives and USB ports, as well as through system theft or loss. Multi-location flexibility – the design of the workstation blade + client device enables the user to be local or remote. This provides additional unprecedented flexibility of working where you need to be, not where you have to be. Let me know your thoughts of the HP WS460c G6 Workstation Blade. Are you using it, or do you know anyone using it? What recommendations would you offer to HP for future workstation blades? 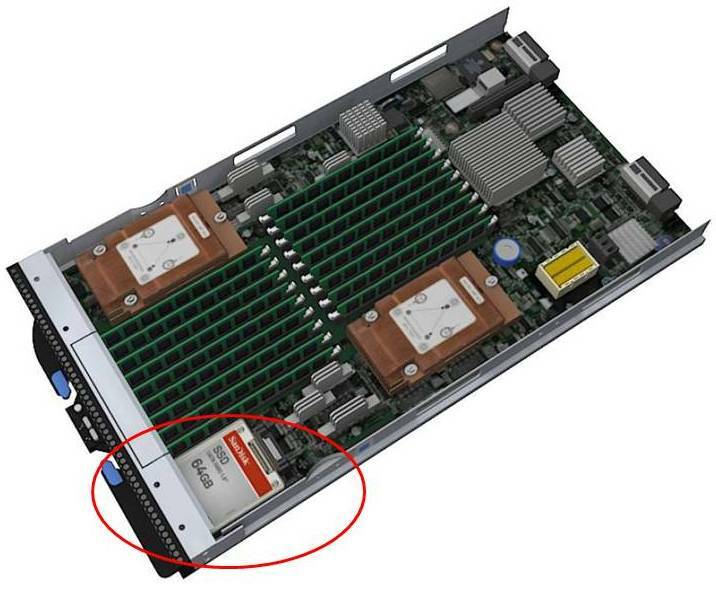 The B200 M2 provides Cisco users with the current Xeon 5600 processors. It looks like Cisco will be offering a choice of the following Xeon 5600 processors: Intel Xeon X5670, X5650, E5640, E5620, L5640, or E5506. Because Cisco’s model is a “built-to-order” design, I can’t really provide any part numbers, but knowing what speeds they have should help. HP is starting off with the Intel Xeon 5600 by bumping their existing G6 models to include the Xeon 5600 processor. 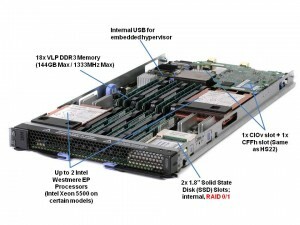 The look, feel, and options of the blade servers will remain the same – the only difference will be the new processor. 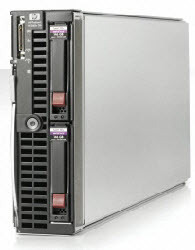 According to HP, “the HP ProLiant G6 platform, based on Intel Xeon 5600 processors, includes the HP ProLiant BL280c, BL2x220c, BL460c and BL490c server blades and HP ProLiant WS460c G6 workstation blade for organizations requiring high density and performance in a compact form factor. The latest HP ProLiant G6 platforms will be available worldwide on March 29.” It appears that HP’s waiting until March 29 to provide details on their Westmere blade offerings, so don’t go looking for part numbers or pricing on their website. I could not find any information on what Dell will be offering, from a blade server perspective, so if you have information (that is not confidential) feel free send it my way. As always, you can expect for me to give you coverage on the new blade server technology as it gets announced!